Its that time of the year as noted. Lets get right to it. Nats have 7 arbitration-eligible players. Four of them are no-brainers to tender and negotiate with in Arbitration. 2019 salary guesses are MLBtraderumor estimates that are now pretty well accepted as the best analysis estimates out there. I feel like the Nats are a bit generous and usually end up paying slightly more than their estimates, but these will work for now. Joe Ross at $1.5M could be an absolute steal and could be a factor in consideration for Tanner Roark‘s decision later on. If Ross returns to his 2016 form for this salary we’ll be in great shape for next year’s playoff race. Rendon and Turner are obvious players to continue with, and/or to consider some longer term contract negotiations with. Lastly, the team just traded for Barraclough, he’s relatively affordable, and will be a key arm in the 2019 bullpen, so he’s not going anywhere. First, i’ll just say this: I feel like the team is going to tender Michael A Taylor He’s got too much value as a defender, his projected salary in the $3.2M range is going to be better than projections for similar outfielders on the market … but he’s 27 not 33, plays Gold Glove-calibre defense and has shown some flashes of capability at the plate. I think he makes perfect sense as a 4th outfielder. I also don’t think i’m going out on a limb saying that its likey that Sammy Solis has thrown his last pitch for the team. He was patently awful in 2018, couldn’t get lefties out at all, and even though his projected salary is a pittance ($900k), his big limiting factor is his lack of options. He burned his last minor league option in 2018, so if he can’t make the team he’s gonna get DFA’d anyway. Might as well get it out of the way now and clear the roster spot. So, lets get to the main discussion item. 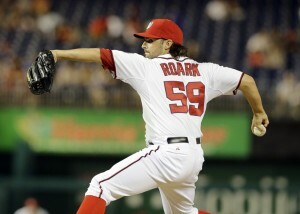 What to do with Tanner Roark? He’s projecting to a $9.8M salary in his last year of Arbitration. That’s a hefty sum. He was fantastic as a starter for this team in 2014 and 2016. He struggled when the team jerked around his role in 2015. And the last two seasons he’s essentially been a just-slightly-worse-than-average MLB starter. Sounds like a classic 4th starter type. So is a 4th starter worth $9.8M? He’s not getting any younger; he’ll be playing in his age 32 season next year. He’s trending the wrong way; you can easily make the argument that the odds of him being more 2018 next year than 2016 are high. So the real question is this: can you replace him in the trade market or in Free Agency and find someone comparable? There havn’t been many signings thus far to use as a barometer for this off-season, but one stuck out in my mind; CC Sabathia. Sabathia is older, fatter, and better. And he signed for $8M. All the projections for 4th/5th starter types seem to be falling in the $6M AAV range. Scherzer, Strasburg, Joe Ross, Erick Fedde, and Jefry Rodriguez with Austin Voth and Kyle McGowin in AAA. So if you non-tender Roark, you lose a guy who has never gotten hurt, answers the bell, eats innings and can be pretty dominant. Isn’t that what you want in a solid 4th starter? What are you going to get on the FA market for that price that’s better? If it were me, i’d tender him. Prediction: only Solis is non-tendered. Actual tender results for 2018: all arb-eligible players tendered. Solis (the one we thought was in most jeopardy) negotiated a contract ahead of time. 1 yr, $850k so just slightly below MLBtraderumor’s estimate. If he flails in spring training the Nats can cut him in mid March for just 1/6th of $850k or just $141k guaranteed. Not a bad deal. Here’s a great history of the Nats non-tender deadline decisions over the years, research I first did for last year’s post and which I’ll keep carrying forward. 2018: no-one non-tendered (Roark, Taylor, Solis all candidates in one form or another). Solis negotiated a contract pre-deadline leading to his tender. 2017: No non-tender candidates; all arb-eligible players tendered contracts at the deadline. 2016: we non-tendered Ben Revere, waived Aaron Barrett before having to make the NT decision, and declined Yusmeiro Petit‘s option as a way of “non-tendering” him. 2015: we non-tendered Craig Stammen, but kept NT candidates Jose Lobaton and Tyler Moore (eventually trading Moore after waiving him at the end of spring training). 2014: we did not non-tender anyone, though a couple weeks later traded NT candidate Ross Detwiler to Texas for two guys who never really panned out for us (Chris Bostick and Abel de los Santos). 2013: we did not non-tender anyone, only Ross Ohlendorf was a candidate, and in retrospect he probably should have been NT’d since he didn’t throw a pitch for the Nationals in 2014. 2012: we non-tendered three guys (Jesus Flores, Tom Gorzelanny, John Lannan) in the face of a huge amount of arbitration players (10). 2011: we non-tendered Doug Slaten deservedly, but tendered candidate Gorzellany. 2010: we non-tendered Chien-Ming Wang, Wil Nieves, Joel Peralta. We also outrighted 5 guys prior to the NT deadline, DFA’d two more in December, and DFA/dreleased four more guys prior to Spring training in a very busy off-season. 2007: we non-tendered Nook Logan, Mike O’Conner. 2005: we non-tendered Carlos Baerga, Preston Wilson, Junior Spivey. As many others have noticed … there isn’t a heck of a lot going on right now in the “hot stove” season. But given where we are in the regular off-season calendar, lets bang out a couple of topics. Bryce Harper technically would have been arb-eligible but signed away his 4th year for north of $21M. Anthony Rendon comes off easily his finest season as a pro (his numbers across the board eclipse his 2014 5th place MVP season) and he should be in line to more than double his $5.8M 2017 salary. Tanner Roark struggled in 2017 (… perhaps caused/aided by the frequently-seen WBC hangover?) but is still slated to be our 4th starter on a rotation that doesn’t currently have a fifth and should be in line for about an $8M payday. Michael Taylor has established himself as one of the premier defensive center fielders in the game, will be set to start in 2018, and faces arbitration for the first time (likely to get around a $2.5M check). That’s a long trip down random memory lane for marginal Nationals players from yesteryear. Post-publish edit: as expected, the team formally tendered contracts to the 3 arb-eligible players on 12/1/17. The FA market in general seems to be held up by two major names: Giancarlo Stanton and Shohei Ohtani. Jeff Passan argues there’s other reasons (see this link) for the lack of movement, but one has to think the big names are a big part of it. I also believe that this year’s “crop” of FAs is … well kind of underwhelming. Here’s Passan’s ranking of FAs: his biggest names past Ohtani are Yu Darvish (who just sucked in the post-season, is coming off TJ surgery and doesn’t rate as the “Ace” he once was), J.D. Martinez (who blew up in 2017 but who has normally gotten a lot of his value from defense and he’s not getting any younger), Eric Hosmer (a 1B only guy, even if he’s really good, who seems like a safe bet to get over-pad and age badly) and Jake Arrieta (who has taken a step backwards from his Cy Young win and has already entered his decline years). Plus, the “price” for signing some of these QO-attached guys (Hosmer, Arrieta plus other top-10 FAs like Lorenzo Cain, Mike Moustakas and Wade Davis) will be quite steep for big-market and/or Luxury tax teams like our own Washington Nationals. Frankly, between the higher price of forced loss of picks due to our over-spending last season, our current payroll tightness (we seem to only have about $17M to spend to stay under the tax for all of next year) and the underwhelming lot of available players … i don’t see us really participating in this year’s sweepstakes. Do we want to pony up for a middling 5th starter type like Jaime Garcia at the likely going price of $10M/year? Or roll the dice with a MLFA like we did with some success last year (Edwin Jackson, Jacob Taylor). Or just stay inhouse and let Erick Fedde continue to mature every 5th day on the mound? Stanton, according to the tea-leaves i’m reading this week, seems like he’s heading to San Francisco, who is in desperate need for offense, outfielders and a franchise makeover after last year’s debacle. Stanton could fit all three. Which is great for him (he’s born and raised in California and would be joining a franchise that, despite its 2017 season, still has 3 WS titles in the last decade and a slew of marquee players to build around), great for the Nats (getting him out of the division), great for the “franchise” of Miami (who rids themselves of perhaps the 2nd worst contract in baseball behind Albert Pujols‘ and lets them get a relatively clean slate to start over for the new franchise ownership group), and of course awful for the “fans” of Miami, who thought they were finally getting rid of one of the worst owners in professional sports only to get slapped in the face with comical missteps by the new Derek Jeter-led ownership group, who managed to embarrass themselves in the most ridiculous way (by firing ceremonial Marlins legends for no good reason) early and then put themselves on the defensive needlessly by immediately crying poor and saying that they needed to pare payroll within a few days of taking over. If i was a Miami fan I wouldn’t know whether to laugh or cry. I also think its notable that the first ex-Nat ranked on Passan’s list comes in at #43; the “ripe for regression” Matt Albers. 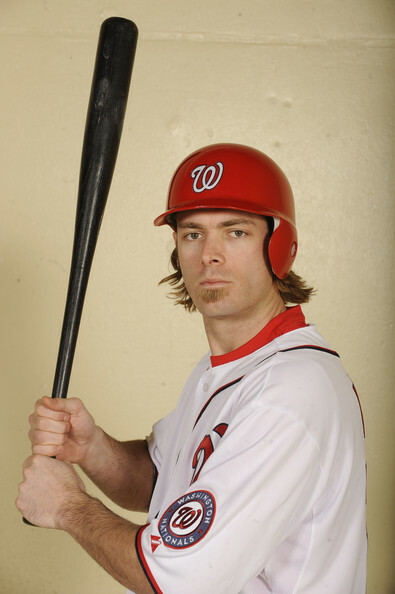 Brandon Knitzler comes soon after him (who could be a re-signing candidate frankly for us, to put the “law firm” back together), then you have to get all the way down to #62 to find Jayson Werth. As compared to next off-season, when the Nats will have the #1 guy on the list. Coming back to Ohtani (I’m going with the h in the name since after much research that’s what seems like the right way to spell it) …. First things first: I desperately hope the Nats get him. Anyone who thinks that they’re better off without Ohtani is a fool; he’s set to become one of the biggest bargains in baseball. For the small price of a $20M posting fee, you get a guy who throws 100, is an 80 runner, and hits the crap out of the ball. For a miniscule bonus figure (the max any team has seems to be about $3.5M; the Nats only have $300k) and then a MLB min contract. Its just amazing. His presence could literally change the face of a franchise for a decade for about the same amount of money we will have paid Gio Gonzalez this year and next. I doubt he picks us though; it seems more likely he picks either a major market team (NY, Boston) on the east coast or (more likely) one of the west coast teams for better proximity to Japan and a larger Asian native market (LA, SF, Seattle). But its all speculation. Hey, did I mention that the Nats need both another starter AND a lefty-bat off the bench, right now?? Ohtani would be perfect! Side Note: why the heck is he coming over now and subjecting himself to MLB minimum contracts and arbitration?? He’s literally leaving $100M on the table by not waiting just two years and coming over un-restricted. I just cannot believe he’s doing this and costing himself so much money. I get the lip service comments about wanting to challenge himself, yadda yadda, but when there’s literally 9 figures of money on the table, I just don’t understand the decision. He’s projected to be better than Daisuke Matsuzaka, better than Darvish, both of whom got many times more money (Dice-K got $52M to him, $103M in total cost plus his posting fee), while Darvish got $60M to him and cost the Rangers $111M total with posting fee). It seems crazy. Can’t wait to see where he goes, and I can’t wait to see if he’s the real deal. The second in a series: The first looked at the Biggest/Best/Worst Trades of the Washington Nationals era and was posted in late March. Yes, it took me 8 months to return to this series, despite writing most of this post in July. Here in Part 2, we’ll look at the biggest, best and worst Free Agent signings in the tenures of both Jim Bowden and Mike Rizzo. In the last section we’ll look at Draft picks. 1. When considering a Free Agent we’ll only consider the FIRST signing in this list. So, for guys who have signed multiple one-year free agent contracts in a row (guys like Rick Ankiel and Chien-Ming Wang), we’ll only consider them as a single signing. For others who signed here and then left, only to come back (example: Livan Hernandez) we’ll consider them as separate signings. 2. We are considering extensions given to existing players (since they don’t fit elsewhere). You can consider an extension just a pre-emptive free agent contract. 3. We’re mostly focusing here on Major League free agents; each year we sign many minor league FAs ahead of camp. If a Minor League FA signing ends up having a decent impact on the major league team, we’ll note him (good recent example being Laynce Nix). The team has made dozens and dozens of signings: I won’t try to go through them all here. For those interested, here’s my List of Free Agents from over the years (also available on the links section to the right of this blog). I put up a similar notes file (List of Trades and Trading Partners) from the first post of this series, also available in the list of resources on the right-hand side of the blog. I wonder sometimes if Bowden doesn’t sit in his ESPN office as he writes his blogs and ask himself what he could have done here had he had more money to spend. Look at this list; Bowden’s biggest deal in 5 off-seasons was a 2yr/$20M contract for a slugger who really had nowhere else to go that off-season. Jayson Werth will make more than that annually starting in 2014. Bowden’s 2007 off-season was pretty amazing, looking back. He assembled a team on the backs of Minor League Free Agents galore, one of which (Dmitri Young) ended up being our lone All-Star. The team went 73-89 and gave 145 of its 162 starts to guys who aren’t even in the league any more (exceptions: Joel Hanrahan‘s 11 starts with 6.00 ERA and late-season call up John Lannan‘s 6 starts as a 22-yr old). He was the master of the scrap heap and spun a team that should have lost 100 games into a respectable 73 win team. Too bad that luck ran out in 2008 as the team bottomed out. But you have to hand it to Bowden for these three 2007 signings; Hanrahan didn’t really pay off for the Nationals, ever, but did enable us to eventually get Sean Burnett, a valuable member of the team’s bullpen these last few years. All things considered, I’d have to say that Adam Dunn may have been his best FA signing. Dunn’s bat was mostly wasted during his two years here, considering the unbelievably bad pitching staffs that Bowden assembled. But the combination of Zimmerman-Dunn-Willingham was a pretty fearsome 3-4-5. Ironically, NOT re-signing Dunn may also have been one of Rizzo’s best non-moves, considering Dunn’s amazing 2011 collapse and the subsequent rise of Michael Morse (who would have continued to be a bit player if the Nats still had Dunn in LF). 2008 was as bad as 2007 was good for Bowden. Nearly every move he made back-fired, some spectacularly. Paul Lo Duca hadn’t been signed for a week when his name showed up prominently in the Mitchell Report; he was released before July. Rob Mackowiak and Johnny Estrada were just stealing money; its still not clear what Bowden saw in these guys. I hated the Kearns deal, never understood what Bowden saw in the guy. Daniel Cabrera was so bad for us it was almost comical, and it was a relief when we DFA’d him after 8 starts. But the worst FA signing has to the Guzman extension. He seemed decent enough after coming back from an injury that cost him all of 2005 and most of 2006, but Bowden inexplicably extended him for 2 years for the same amount of money that he had earned the previous four … and almost immediately his production tailed off. Its not that Guzman was that BAD in 2009 and 2010, its just that he was so vastly overpaid for what he gave the team. We flipped him for two minor league pitchers, he promptly hit .152 in 15 games for Texas and he was out of the league. Its ironic that I had to remove three deals from this list (LaRoche, Jackson, Marquis) that would have qualified for Bowden’s “biggest deal” list. That’s because the size of these deals are just dwarfing what the team was willing to do under Bowden. Lots of pundits have (and continue to) criticized the Jayson Werth deal, and it routinely appears on anyone’s list of “Worst Baseball Contracts.” And his 2011 season confirmed just how bad this may have turned out for Washington. 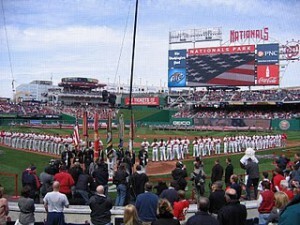 But a bounceback 2012, which featured Werth putting up a 125 OPS+ despite missing a ton of time with a broken wrist, showing the flexibility of batting lead-off when the team needed him, plus providing the veteran leadership and professionalism that this young team needs certainly would earn back some of that contract value. In hindsight, I think the team made this deal as a strawman, to send a message to the rest of the league that we were NOT a low-budget, poorly run team, and to pave the path back to respectability in the minds of other professionals out there that Washington can be a destination franchise. In terms of impact-per-dollar, I think the first Livan Hernandez year of his return was probably the best FA signing that Rizzo has done. Hernandez went 10-12 with a 3.66 ERA and a 110 ERA+ for less than a million dollars on the FA market. That’s roughly $90k a Win, when most teams are paying more than $1M/win for free agent starting pitching. However clearly Rizzo’s most shrewd FA deal was the Matt Capps signing. He took Capps off the scrap heap; he was released by Pittsburgh after a horrid 2009, and his half season of excellent relief for us turned into Wilson Ramos and a minor leaguer (Joe Testa), returned in trade from Minnesota. I will also mention that the value that minor league signings Julian Tavarez, Joel Peralta, and Laynce Nix gave the team was also fantastic, considering where these players were in their careers prior to joining us. Chein Ming Wang: all of them. 2010, Rizzo’s first FA class, didn’t turn out very well did it? Yunesky Maya has been a pretty big disappointment, giving the team just one MLB win for an $8M investment. Ivan Rodriguez just proved to be slightly too old to be worth the starter money he was paid; you could argue that the leadership he provided was worth the money. And Jason Marquis, bought as a stop-gap for a failed farm system, was god-awful in 2010. I won’t completely kill Rizzo for the Brad Lidge experiment; it was worth a $1M flier to see if he had anything left in the tank. Matt Stairs would have been another fine, low-cost experiment except for the fact that the team kept giving him at-bats for weeks/months after it was clear he was washed up. For me the worst FA signing was related to the money poured down the Chien-Ming Wang rathole for three years running. The Nats ended up investing $8M total over three years to get 16 starts, 6 wins and a 4.94 ERA. So far, Werth’s contract is trending as an over-pay, Zimmerman’s as an injury concern, and Gonzalez trending as a complete steal (21 wins for $8.4M AAV in 2012? That’s a fantastic return for the money). Pundits have stated that the Nats have “two 9-figure contracts but zero 9-figure players” (I read it at the time of the Zimmerman signing but cannot find the link). I think that’s slightly unfair to these players, but until Zimmerman can stay healthy enough to produce at his 2009 level, you have to admit that he may be overpaid as well. Perhaps Zimmerman’s brittle health issues can be alleviated if he makes the move to 1B, where he can continue to play gold glove calibre defense but have less of a tax on his body. This analysis obviously does not take Zimmerman’s “value” to the franchise into account, which may be unfair when considering this contract (nobody really said Derek Jeter‘s latest contract was a massive overpay considering his service to the Yankees, his “stature” as the captain and his eventual Hall of Fame induction; for the Yankees to cut him loose would have been a massive public relations gaffe). Coincidentally, I didn’t view the contracts of guys like LaRoche, Jackson, or Morse as being specifically “good” or “bad.” I think LaRoche’s one bad/one good season plus Jackson’s MLB average season was just about on-par with expectations for their contracts. Morse’s 2011 production was pre-contract, so we’ll see how his 2013 goes. Thoughts? Any FA signings or extensions out there that stick in your minds that you thought should be mentioned? – BJ Upton failed to properly prepare himself to throw home after catching a sac fly and was (for some inexplicable reason) surprised to see Danny Espinosa tagging up and scoring easily. – Carlos Pena took a cut-off throw and failed to pay any attention to Ian Desmond, who alertly scampered to 2nd base without a throw. – Matt Moore didn’t pay frankly any attention to Espinosa while on second base, allowing a double steal to occur, both runners of which eventually scored and proved to be the lead-changing runs that turned the game. The Rays are the 2nd worst team in terms of errors in the league. There’s specific questions about the constant shifts put in play by Maddon against players not necessarily known as pull hitters. Their current third basemen situation is atrocious; a throwing error in the first game, a simple catch missed in the 2nd game (when Bryce Harper ran from 2nd on a ball to the shortstop) and a fielding error in the 3rd game. Yes I know they’re missing Evan Longoria … but the Nats are missing their highest paid player right now too in Jayson Werth. And, they clearly are pushing the limits of the rulebook as evidenced by the Joel Peralta pine-tar incident. The Rays were probably lucky to avoid the sweep frankly; they got a win with their ace David Price giving up 4 runs in 7 innings while our soon-to-be-demoted #5 starter Chien-Ming Wang conspired to give away a game possibly for the last time for this team as a starter. Seems to me the Rays need to tighten up their professionalism. Maddon apparently blew off the question, didn’t ask it and challenged the questioner whether or not he covered baseball on a regular basis. These quotes somewhat disappointed me; I have a lot of respect for Maddon by virtue of stories about him in Jonah Keri‘s excellent book “The Extra 2%,” about the rise of Tampa Bay. Perhaps he’s indeed trying to deflect blame and control the story. But I think Maddon does the exact same thing, if he’s in the same situation. Last night’s gamesmanship was probably unnecessary, but a move that you have to make in the right situation. Yes the Nats probably were aware of the fact that Peralta had a tendency to overdo the pine tar, by virtue of his playing for our team a couple years ago. Was last night an odd time to cash in that particular chip? The team was losing, but the game was close, and Peralta is clearly a great asset out of the Rays bullpen. In fact, it surprised me to see the team not pursue signing Peralta after his excellent 2010 season for us. Perhaps the message was meant more for Peralta; who knows what type of departure he had from the team. But you would have to think that if the team still respected him as a player, instead of trying to get him ejected perhaps Davey Johnson would have taken the same route that Tony LaRussa did in the 2006 world series, when hurler Kenny Rogers clearly had pine tar all over his throwing hand, a fact that became clear when the high definition cameras caught him throwing in the first inning. The fact is, when its hot out and you’re sweating, getting a grip on the baseball can be very difficult. I certainly use pine tar heavily when I play to get an extra grip on the bat. I have certainly played with pitchers who had a secret stash of pine tar “hidden” within their glove in order to get an extra snap on the curve. Is this a violation of baseball’s rules? Of course it’s against the stated rules. The question is whether it is as egregious a transgression as (say) stealing signs or sneaking a peak at the catcher’s signs. Much like a football player moving teams and taking along insider information on formations and trade secrets, inside information either brought to or left with teams can put managers in a tough situation. Billy Martin was well aware of George Brett‘s proclivity to over-tar his bat, and he waited until a key game situation (i.e., a go-ahead homer) to cash in that particular chip. Clearly Johnson made the decision to use the information he had on hand, last night in a key late-inning situation. What do you guys think? Bush league move? Good use of information? MLB’s beat writer Bill Ladson kicked off the National’s offseason with a post summarizing the Nat’s major off season personnel decisions (free agents to be and Arbitration candidates). The Nats have a relatively large number of arbitration decisions to make, as well as a few free agents. Player What Should Washington Do?/What WILL We do? Willingham, Josh Tender; valuable trade chip in 2011. Wang, Chien-Ming Non-tender and negotiate one year deal (ala Olsen in 2010). Can’t pay arb raise for zero production in 2010, despite what he’s capable of. Olsen, Scott Non-Tender; usefulness to the team in terms of production and character at an end. Flores, Jesus Tender: may end up being trade bait to a needy team since we have Ramos and Pudge plus Norris coming up. Nieves, Wil Non-Tender; we’re finally after 2 years in a decent catcher position in the franchise. Walker, Tyler Non-Tender; perhaps offer ML deal with ST invite. Other arms that can do what he did in the system for less. 11/4/10 update: Nats have flat out released him. Lannan, John Tender: Nats #2 starter in 2011. Gonzalez, Alberto Tender: Achieved super2 status. Tough call though since he wants to leave and get a starting opportunity. Nats need him as a backup for at least one more season though til guys like Lombardozzi are ready. Slaten, Doug Tender: great job in 2010 as loogy. Amazingly Ladson thinks Willingham is a non-tender candidate. Uh, why would we possibly do that? He was as solid a #5 hitter as there was when he was healthy, he’s a great clubhouse guy and contributes well above his salary. Other clear tenders include Burnett, Flores and Lannan. Olsen, Nieves and Walker are clearly guys that we do NOT tender contracts to. Each for different but well documented reasons. 11/6/10 Update: Olsen assigned to AAA and refused the assignment, becoming a FA. The difficult decisions lay with the other arbitration candidates. With Wang i’d try to appeal to his (agent’s) sense of fairness and pre-negotiate an incentive laden contract, based on the lack of a single game played for his $2M in salary last year. Perhaps a contract of $1M plus incentives based on number of starts that push the total value to $3M if he makes more than 25 starts. Alberto Gonzalez has apparently reached Super2 Status and we a may have an arbitration case coming, if only because Gonzalez has stated he wants a chance to start. The problem Alberto doesn’t seem to realize is that he’s an awful hitter, putting up a 57 ops+ in about 200 ABs last year. He’s a classic good field-no hit dominican middle infielder and I doubt he finds many suitors on the trade market. Lastly we come to Slaten and Peralta. Both guys were minor league FAs for us in 2010 and both pitched lights out after getting called up to fill in for injuries and poor performers (basically replacing English and Bergmann). Are they worth tendering and paying more money or do you cut them loose and take your chances with the next crop of minor leaguers coming up? I say stick with the known (i.e., a fantastic bullpen last year) and bring them back. Next up, two guys who may or may not have achieved Arbitration status. Cots and baseball-america don’t necessarily agree. Morse, Michael May not have achieved Arbitration yet. If Arb eligible, absolutely Tender. MLB utility infielder. Even though Chico seems like he’s buried in AAA, he’s still a lefty starter with a somewhat decent track record who gave us one decent spot-start this year. Morse I’m more excited for. I believe that Morse could be a hidden gem of a starter for us if given the time. He hit 15 homers in 293 ABs, which projects to 30 homers over a full season. He’s athletic (played shortstop in HS and in his MLB debut season) and can clearly play all around the diamond. Clearly he can play first base since he’s 6’5″ and is a reformed middle infielder. If Dunn walks, I can easily see Morse playing 1st and Bernadina playing RF (barring no FA pickups). Scott Olsen‘s 12th start of the season eventually ended in a 10-2 nats loss last night, though that scoreline wasn’t totally his fault. Strange start for Olsen, who absolutely cruised through the first 5 innings (one hit and one HBP through five, lots of groundball outs, very few hard-hit balls). He was sitting at around 60 pitches and looked like he might put up a solid 8 inning start. Suddenly the top of the 6ths starts pinch-hit homer, then a triple, then a walk of Heyward (hardly someone you can blame pitching carefully to with a guy on third and none down). And he gets the hook!? Why? Why give him the hook after two guys hit good balls in a row. So that a guy we signed on a minor league contract earlier this year (Peralta) can come in, let both inherited runners score on back to back doubles, and ruin the game for Olsen? That was unproductive. Sometimes I think Riggleman over-manages and over thinks his situations. Olsen now sits at 3-5 an ugly 5.14 era and 1.44 whip. But his advanced stats look better. FIP=3.51 and xFIP=4.07, which is actually 2nd best of any starter we’ve used more than once the rotation (behind Strasburg). His BABIP is .320, meaning he’s slightly unlucky on balls in play. He’s had three horribly games on the year that have destroyed his era/whip numbers. But he also had a string of 4 games and 25+ innings with 2 earned runs allowed. I think Olsen’s spot in the rotation is safe for now, but either he or Lannan probably gets the hook when we bring up Maya for a few spot starts. But at least he’s earning a contract tender in arbitration proceedings in the off season.